Play Safe - 2 to 4 years There are 47 products. Beautiful playing set of head and tails for kids.The set consisting of Fish, chick & hippo models.Prettified with high glossy laque color dyes. 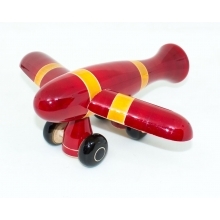 Ideal for kids in the Age group of 12~36 months.Made with non-toxic color dyes.Playing with aeroplane makes kids busy and familiar.Handcrafted by artisans from channapatna. 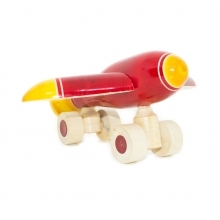 Ideal for kids in the Age group of 12~36 months. Made with completely safe, non-toxic color dyes. Playing with bikes makes kids busy and enhances motion co ordination skills. Smooth wax finishing for better touch feel. 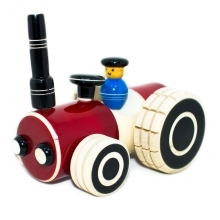 The pretty little snail car for kids. 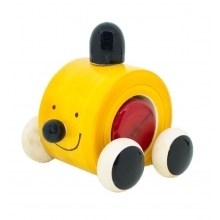 Interactive playing which will keep your little ones busy. Enhance motion co ordination skill of kids. Crafted with organic, non toxic color dyes. High glossy finish ensures the added glamour. 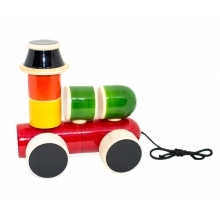 Wooden Multi component Engine for kids. Enhances motion co ordination skills of the kids. Crafted with non toxic color dyes, with glossy finish for enhanced glow. 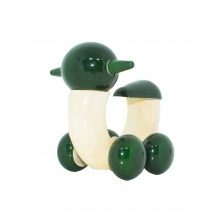 Smartly crafted by artisans from channapatna. 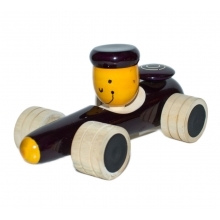 Wooden Tractor for kids. Enhances motion co ordination skills of the kids. Crafted with non toxic color dyes. Highly attractive and desired toy for kids. Crafted by artisans from Channapatna. 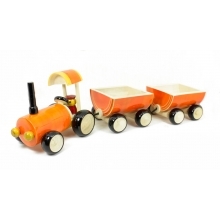 Wooden construction tractor for kids. Prettified with high glossy, and non-toxic lacque material. Highly desirable playing toy for kids. 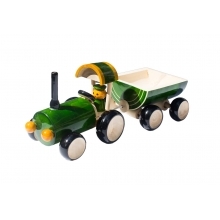 Crafted by skilled artisans from channapatna.